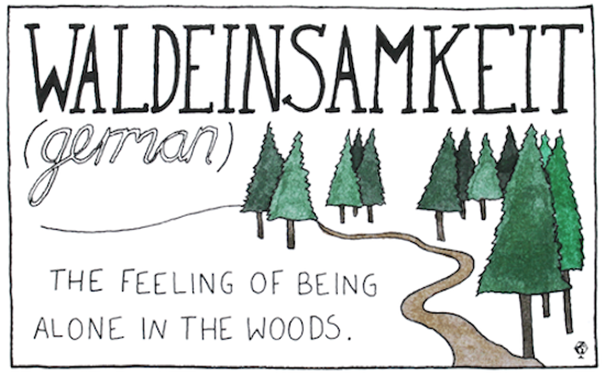 Untranslatable words or just getting lost in translation? I hope you‘ve had an awesome summer! I‘ve just returned from a 6 week trip to my home country and sometimes when asked to describe my experiences it is hard to find one word that aptly describes it all. I also had an opportunity to conduct corporate in-house training for a diverse group of South Africans while there and periodically observed mild misunderstandings in communication even though we all speak the same language. Have I been out of my own woods for too long? Have I mixed in European (or Austrian) cultural “trees” into my own communication? Do my fellow South Africans have another understanding of the same words? So true! Knowing this, and understanding “the map is not the territory” (a presupposition from the study of NLP) is so important if you want to achieve clarity and connectivity in your communication. The relationship between words and what they mean when sharing a common language or when a language is shared by non-native speakers, is and has been a fascinating and very complex one. Linguists and other experts have spent a lot of time analysing, and coming up with theories as to why there are so many feelings and ideas that differ so vastly and why we sometimes cannot “find the right words”. I know. I have had many interesting, albeit lengthy discussions with writers or speakers when trying to find a word which would best describe the emotion, fact, idea, value they are trying to express. There are words which our languages simply cannot identify or translate. Like “Waldeinsamkeit”*. We can only describe it in a sentence which (also) evokes different interpretations! Ralph Waldo Emerson even wrote a poem on “Waldeinsamkeit”. Remember, you are not “alone in the wood”s when it comes to any communication and language needs you may have, and I look forward to supporting you. I wish you success! Adventure is a path. Real adventure – self-determined, self-motivated, often risky – forces you to have firsthand encounters with the world. The world the way it is, not the way you imagine it.